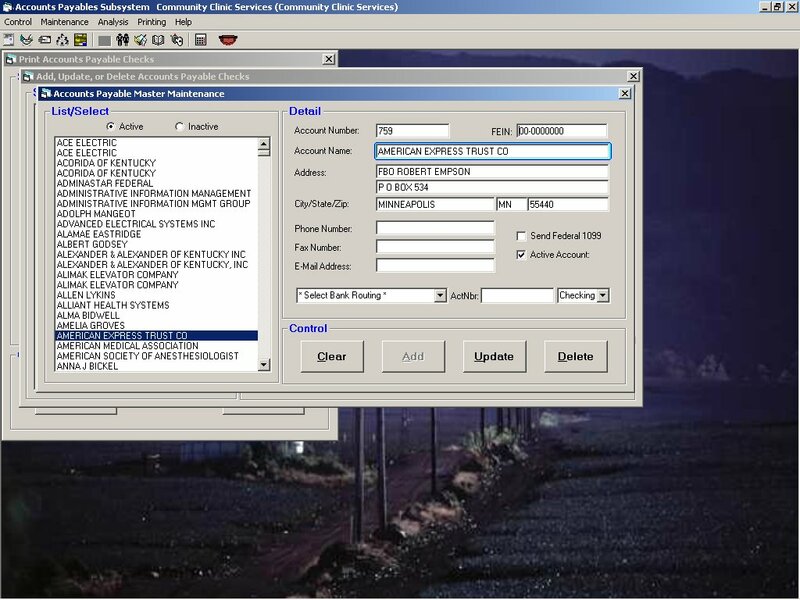 This subsystem allows you to better organize and process your payables. This subsystem integrates with the general ledger so that all of the hard work is done for you. You can print checks and history reports as well as analyze your payments and even print 1099 forms. Copyright © 1978 - 2003 Premier Data Software and SieCorp. All rights reserved.